Imagine you are driving down a busy Florida roadway, when suddenly a pedestrian appears out of nowhere. There were no lights, signs, or crosswalks to alert you of the potential danger, and yet, a collision is imminent. Auto-pedestrian collisions are nothing short of gut wrenching, regardless of the circumstances. Many assume that vehicle drivers are always at fault: but what about in the case of a jaywalking pedestrian? If you’ve been involved in such a crash, the guidance of a knowledgeable personal-injury attorney could be invaluable. Jaywalking has become such a serious issue in Florida that law enforcement organizations have started paying officers to work overtime on the issue. That’s right: officers are doing double duty in an effort to prevent fatal collisions between autos and pedestrians. Originally, jaywalkers were merely provided with information about jaywalking laws, which state that pedestrians must remain on sidewalks when provided, must cross only in marked crosswalks, and must obey all traffic signals. But after the initial phase of information dissemination, officers began issuing tickets at $63 a pop. Why such a focus on jaywalking? Apparently Florida has some of the highest pedestrian fatality rates in the United States. Law enforcement hopes that with this targeted campaign, pedestrians will become more aware of safety as they cross Florida roadways. Notably, drivers must yield to pedestrians who are in a crosswalk. 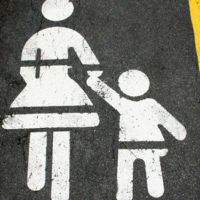 Pedestrians, however, must yield to vehicles elsewhere on roadways. Obviously, simply because vehicles have the right-of-way when no crosswalk exists it doesn’t mean that that drivers have no responsibility to drive with caution and to try to avoid collisions. Due care is always expected. But legally, drivers may have a defense in the event of a collision. Clearly, no driver, and certainly no pedestrian, ever wishes to be involved in such a collision. But they do occur, with some frequency. One such incident occurred in South Fort Myers involving a teen who was crossing the street outside her school. Ignoring crosswalks, the teen encountered a vehicle that could not stop in time to avoid the collision. This was one of hundreds of similar cases in the country every year. Fortunately, the young woman in this case recovered from her injuries. Not every situation has such a happy ending. If you find yourself facing a lawsuit because you crashed into a pedestrian who was not in a crosswalk, the experienced personal injury team at the Law Offices of Robert W. Elton can help. Contact us today for a free, confidential consultation.